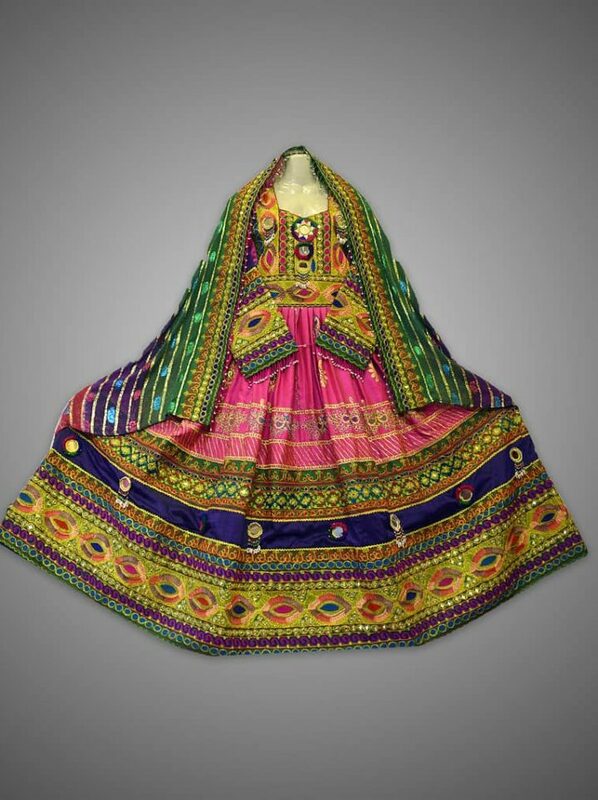 The dress features a shocking pink base color, that is topped with green, blue, and multicolored threads. 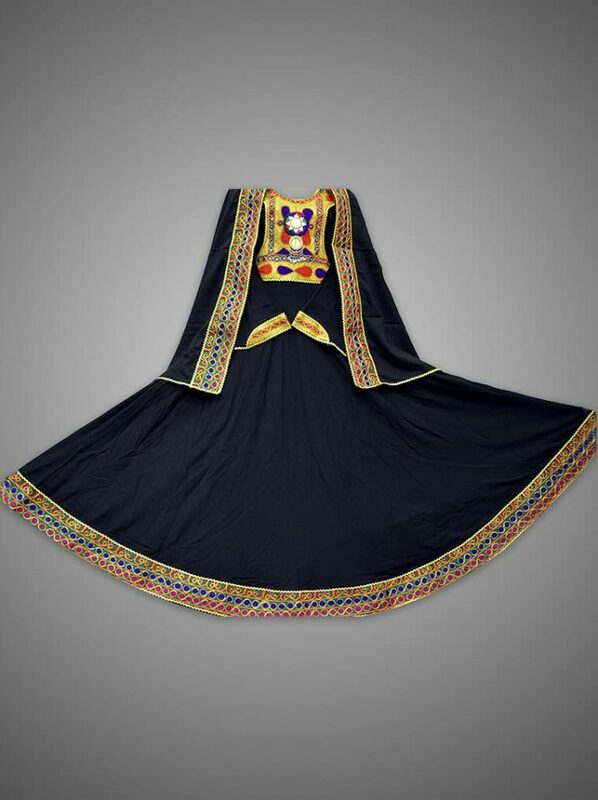 These bottom half shows off great mirror work, and thread work detailing, that fits in perfectly with the heavy top. 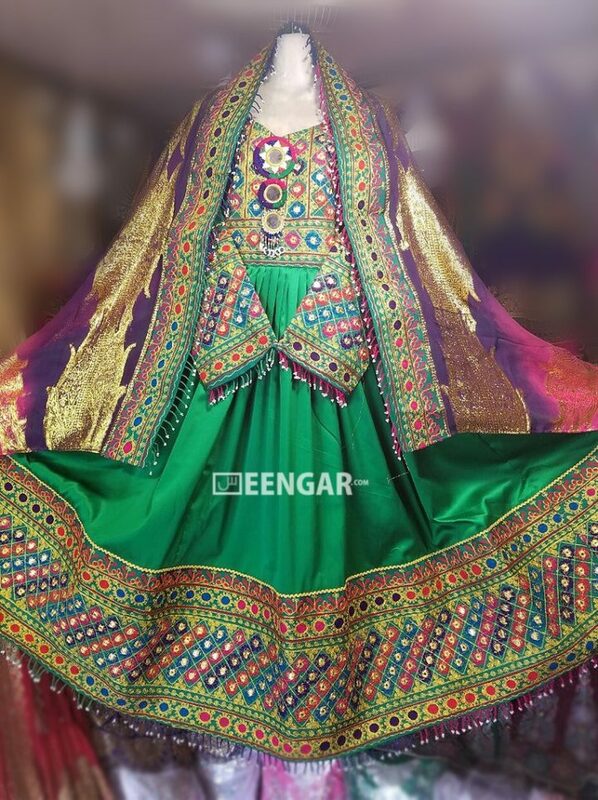 This traditional Afghani dress comes with a tie and dye dupatta, that offers all the gorgeous colors and thread works seen on the body f the dress. In addition, the dress features full sleeves with small mirror working, and thread detailing paired with some hanging motis. The entire dress is perfectly designed and can be worn both casually and formally. Bibi Sherena dress features a shocking pink base color, that is topped with green, blue, and multicolored threads. 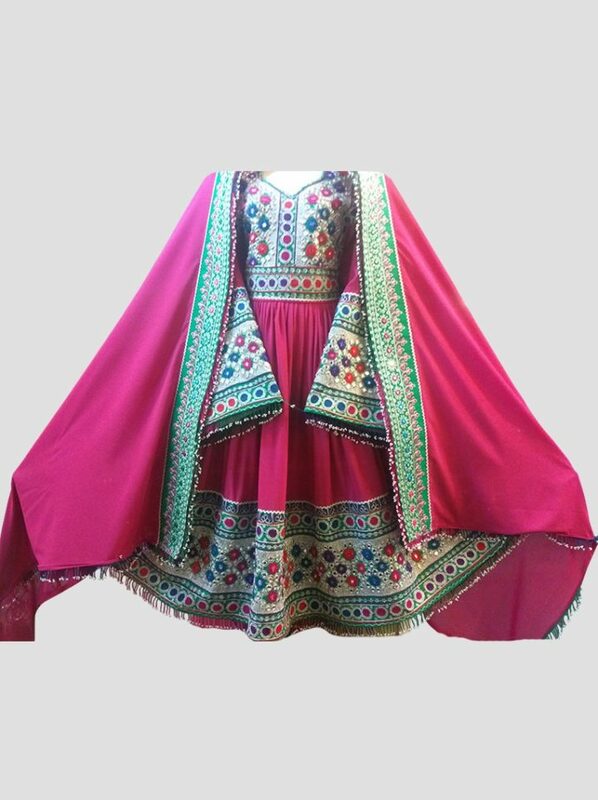 These bottom half shows off great mirror work, and thread work detailing, that fits in perfectly with the heavy top. 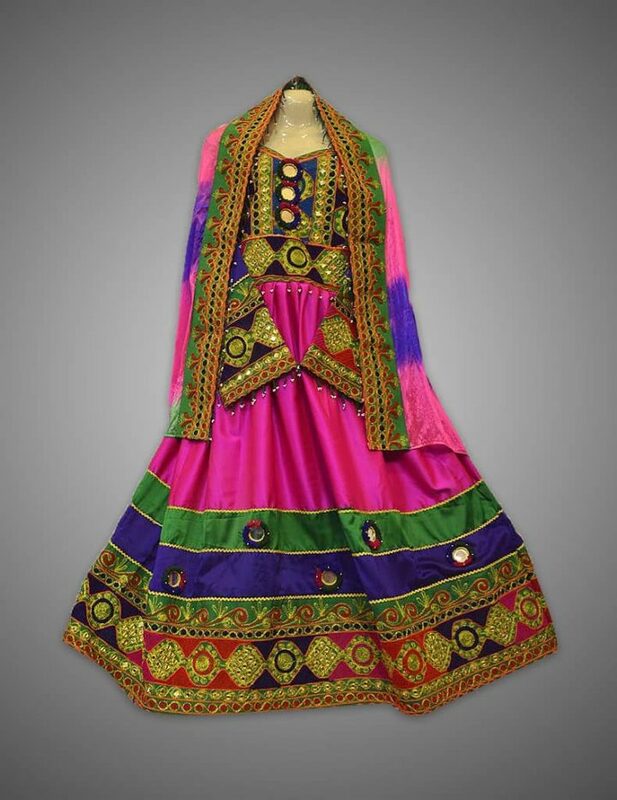 This traditional Afghani dress comes with a tie and dye dupatta, that offers all the gorgeous colors and thread works seen on the body of the dress. In addition, the dress features full sleeves with small mirror working, and thread detailing paired with some hanging motis.